When I was young, Mother used to iron cotton pillowcases, sheets and handkerchiefs – hers and Dad’s. We kids did not have handkerchiefs; I think we used our sleeves. When I was in the third grade, my next door neighbor took a trip to Europe. Such a destination was quite exotic for my small town! Upon her return, she gave my sister and me presents from Switzerland. 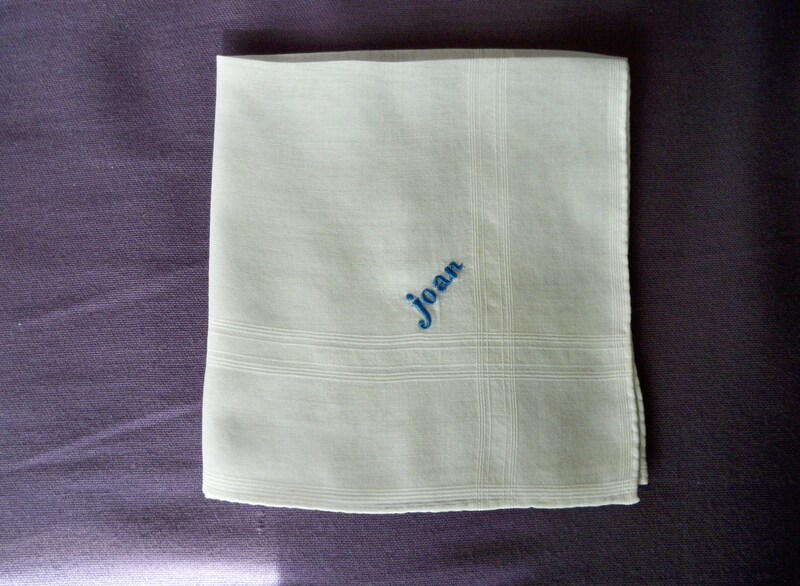 Opening the boxes, we found very simple, yet elegant, white linen handkerchiefs with our names delicately embroidered in rich blue thread. Of course, I never used my Swiss handkerchief. It was far too precious for something as gross as blowing my nose! Instead I tucked it away in my dresser drawer, one of my first treasures that promised places I’d one day visit. Fifty years later, through countless moves and life’s many twists and turns, I still keep that handkerchief nestled in my dresser drawer. Seeing it transports me, for a fleeting moment, back to that child whose world had just been broadened by a kindly neighbor. Thanks, Lainey. My neighbor was the very definition of “a proper lady”, and my Mom revered her, which left a lasting impression on me (not that I’m a proper lady, but I know one when I see one!). What a lovely memory and keepsake. I remember my father having big white hankies with initials embroidered on it. They always looked so formal. Hankies did seem formal. Those and my grandfather’s pocket watch! Thanks for reading and supporting me. I appreciate your visits. I am looking for all the hankie’s I saved. I want to use them for a quilt top. It’s time they left the drawer and made their way into the light of day. I think it’s wonderful that you saved that precious memory. That is a great idea! A to Z has definitely nudged me to discover ways to “re-pupose” my momentos and keepsakes. Unexpected pleasures have come from this April Challenge. My other next door neighbor, when I was a kid, made a quilt out of her husband’s wool suits after he retired. The fabric was so elegant, and the quilt such a wonderful keepsake for them. A small treasure from childhood – or from any earlier point in our journey – becomes a talisman we can gain strength, encouragement and love from when we need it. I know turtles have great significance in many cultures and religions. 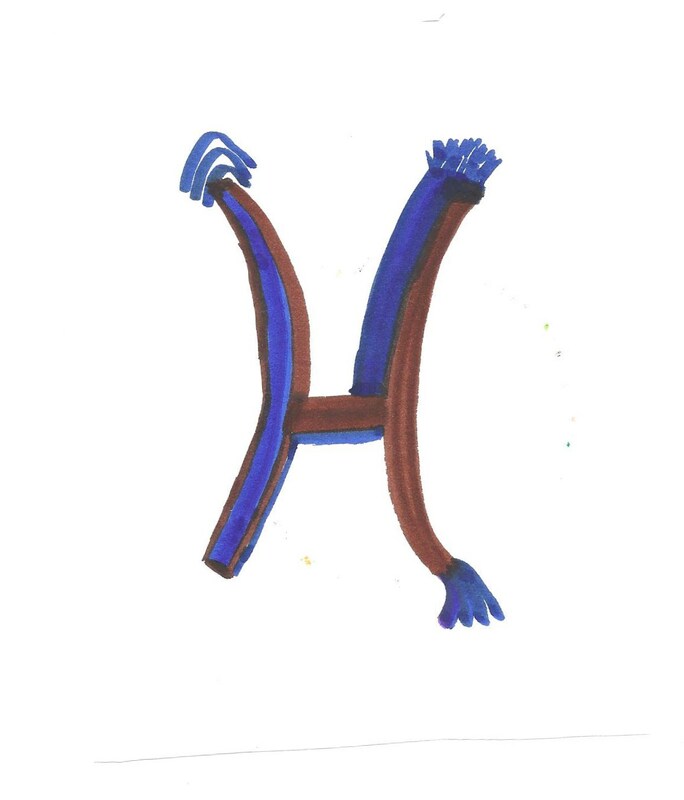 Now I want to look up what they symbolized in Native American lore. Thank you for sharing your gem. Nice post. It brought back the memory for me – when I was young and my mother was first teaching me how to embroider, she taught me to put my initials on a handkerchief and a washcloth. It’s a good memory. Thanks. 🙂 thanks, Deb. My sisier used to embroider. I wasn’t handy for thst. I go through so many Kleenxes, it makes me wonder how people got by with just a hanky! 🙂 i know; i love soaps and have yin yang of enjoyment using vs. keeping them in a vintage wooden box in my bathroom!! This brought back memories. My mom gave me the hanky that was her wedding hanky (who knew?) I have some lovely embroidered hankies from my mom and my grandmother tucked away. Sweet! This was a wonderful post about ‘memories’. I remember being the one who HAD to iron those hankies and pillowcases. My dad used those big bandanna type hankies. I often wondered when I was HAVING to iron them why on earth anyone would want to iron something you were just going to fill up with snot. But back in the 50’s we didn’t dare question, we just did as we were told. I have the white lace gloves that belonged to my mother-in-law I should write a post about them someday……Thanks for the memories! Confession : I saved up piece of an eraser which my friend gave me before she left the country in junior school. Sentimental fool, you can call me! !